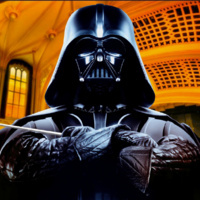 Join the Boulder Chamber Orchestra in celebrating international “Star Wars Day” with John Williams’ greatest soundtracks - music from the Star Wars film franchise. Hear the themes of your favorite characters, planets, and scenes come to life with a live orchestra. And “May the Fourth Be with You!” Featuring the Boulder Chorale. The University of Colorado Boulder is committed to providing equal access to individuals with disabilities. If you are planning to attend this event and will require accommodations, please contact Macky at (303) 492-8424 or macky@colorado.edu no later than 7 days prior to the event. We will make all reasonable efforts to fulfill requests submitted after the deadline, but may not be able to do so depending on the nature of your request.